Bill's Movie News and Reviews: "The King's Speech": King George VI overcame stuttering but "they gave him the words"
"The King's Speech": King George VI overcame stuttering but "they gave him the words"
“We give you the words.” That was the pitch made to me at an “interview” in the spring of 2002 for a “job” pitching life insurance conversions, after my career-changing layoff-retirement at the end of 2001. And King George VI of Britain, perhaps a quasi-accidental monarch at the outset of World War II, was given the same task, to speak not for himself but for the British peoples. The other history here is that George VI (Colin Firth) was more “worthy” of the throne than his brother, who had misbehaved (with women), although few people knew about his stammering. All this is the subject of the funny period piece from Tom Hooper and The Weinstein Company, “The King’s Speech”, which played to an almost sold-out audience at Landmark’s E Street on a Monday night. The script was written by David Seidler. 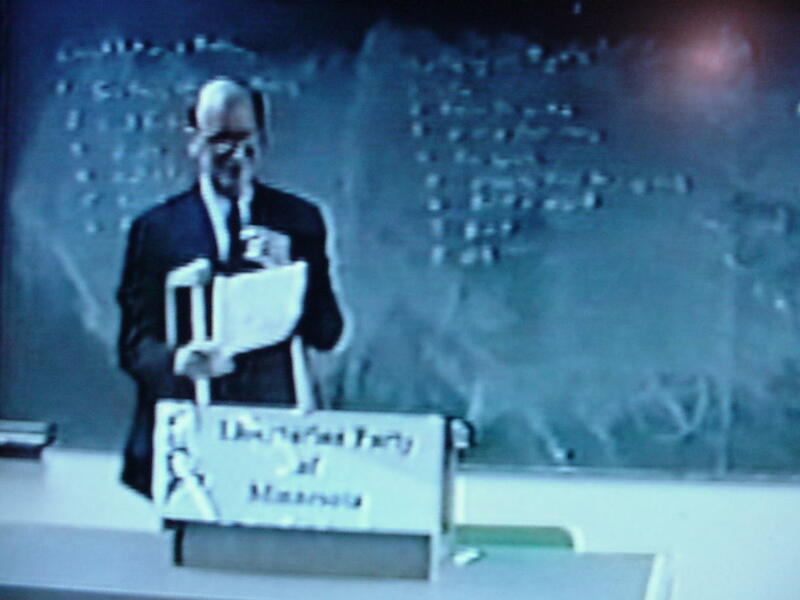 Now I gave a speech on my own book in Feb. 1998, while still on crutches, at Hamline University, in an event arranged by a college senior and televised on cable afterward. And I got to speak for myself. The climactic ten minute speech, with pauses matching the rhythm of the famous A minor Allegretto from Beethoven’s Seventh Symphony, comes to a climax when the speech (not his words) summarizes Hitler’s philosophy as “Might makes right.” Already, sandbags and bunkers are appearing in The City of London, in mid 1940. The Battle of Britain would soon follow. Of course, George wouldn’t make it without the speech therapy for years (Geoffrey Rush as Lionel, not exactly a Luthor). And his lessons were nothing like those of Henry Higgins in “My Fair Lady” (1965, which I remember seeing the day before a friend’s wedding). George really couldn’t have said the lines about The Rain in Spain. The idea that cigarette smoking could help relax the speaker is a bit off-putting if very much in period. The technology of the time is lovingly displayed, to the point of directly recording speeches onto phonograph records (78s). The film remains in standard aspect ratio, which allows the close-ups to work. The audience did find the British humor funny and bonded well with Firth's character. I don't think that Prince William will ever have such a challenge (if Charles becomes King, William will start making the movies about the environment ("Harmony II", etc) and Landmark will show them). 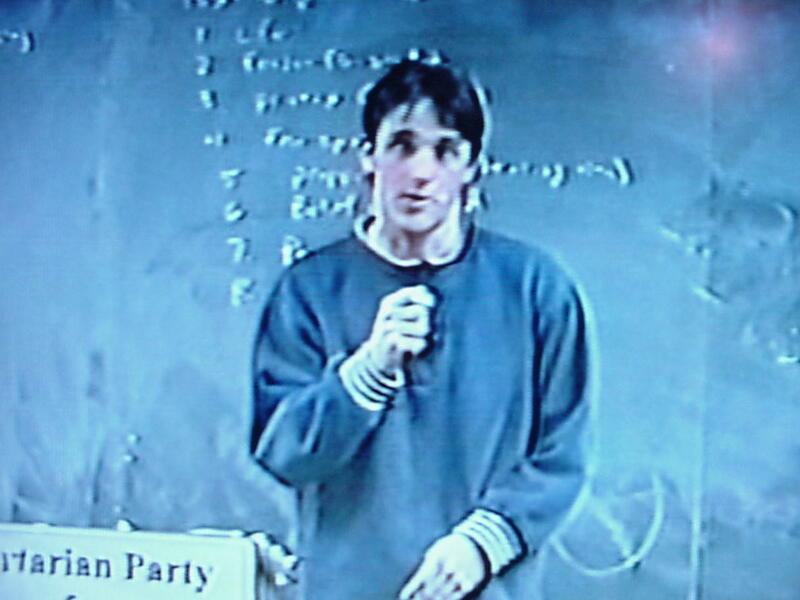 It's interesting to me that the libertarian-oriented news anchor John Stossel overcame stuttering, as documented here. 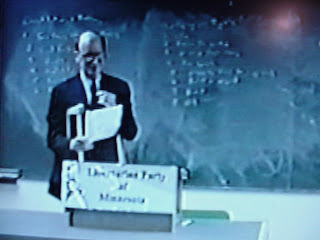 I met Stossel at a lunch for The American Experience in Minneapolis back in 2003. 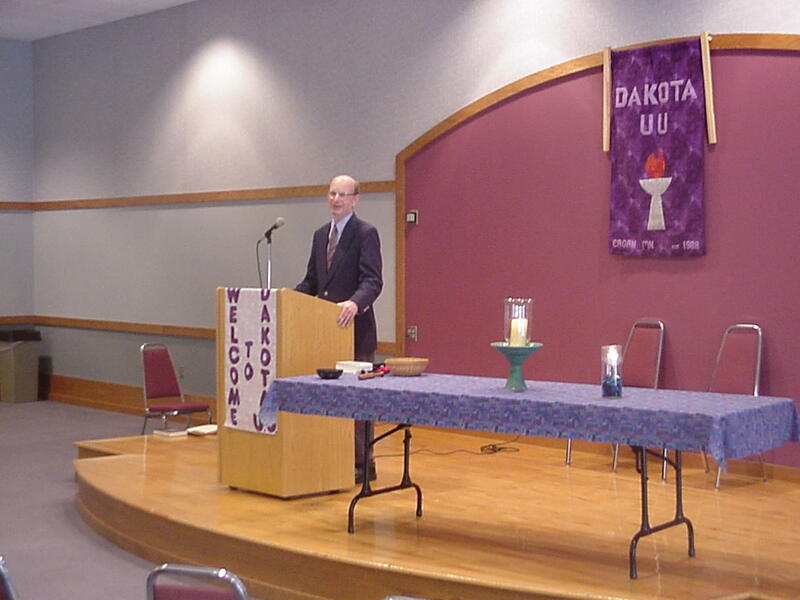 Two of the pictures: I speak in 1998 at Hamline, and get a grand introduction. Picture below, a post 9/11 speech (Feb 2002) I gave at a Unitarian Church near Minneapolis. Note: The word "Edward" appears in the URL name of this posting (as cataloged) instead of "George" because of a typing error. "George" is intended.